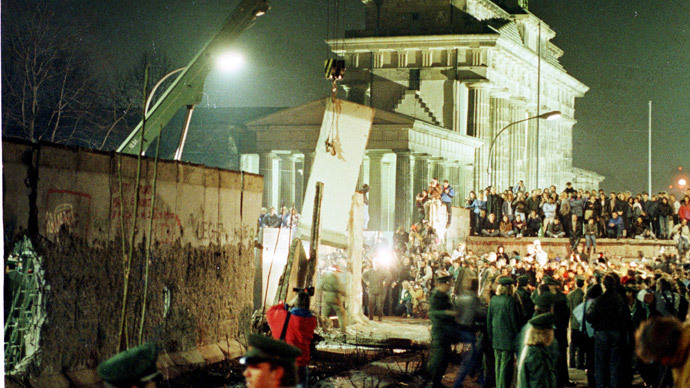 Ex-Soviet President Mikhail Gorbachev, whose effort made possible the reunification of East and West Germany in 1990, has criticized a parliamentary resolution denouncing this historic event as an act of aggression. “The suggestion is simply rubbish. I will say this again – we cannot simplify the situation to the convenience of today’s needs and our appraisal of the past should not be based on today’s views,” Gorbachev said. His comments came after a Communist Party MP suggested that Russia’s lower house of parliament, the State Duma, pass a resolution denouncing the “annexation of the German Democratic Republic by the Federal Republic of Germany.” The author of the motion, Nikolai Ivanov, said that such move would be an appropriate answer to attacks on Russia by the president of PACE, Anne Brasseur, who had accused Russia of annexing Crimea in a speech. State Duma chairman Sergey Naryshkin has instructed the parliamentary committee on international relations to consider the suggestion and give its reaction to it as soon as possible.